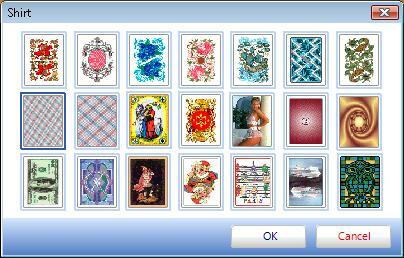 Card games "Durbetsel": poker, spider, freecell, klondike, pyramid, joker, yukon, poker, black jack, mariage, preferans. 2. Choose the "Shirt" sector. 3. Choose the picture to your liking. Copyright © 2001 Konyukhov Alexander.